Heeeey guys! Today I’m doing something a bit different. You will not see this very often, so look closely and memorize every single word like it depends on your life. 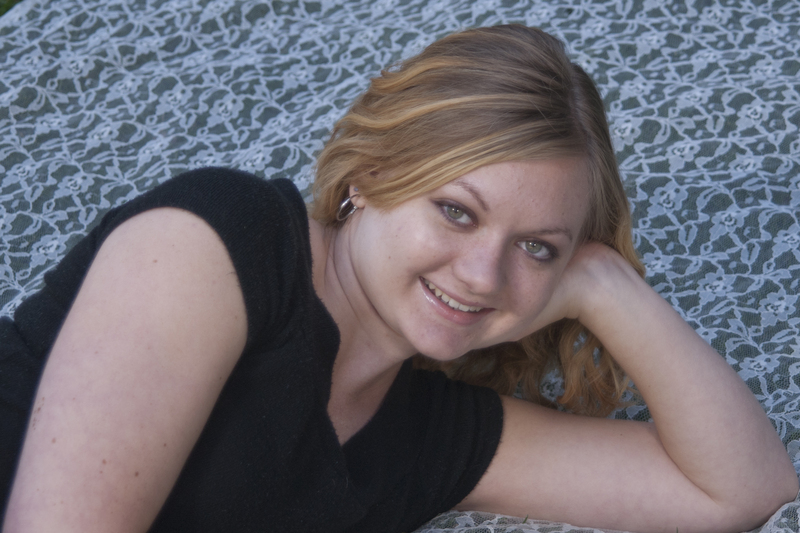 A friend and fellow teen author, Tialla Rising, shares with us a few things about herself and her writing journey. My laptop wallpaper. For real – I had this photo of a huge rock mass sitting in a lake surrounded by trees. It was absolutely enchanting, and I loved to just look at it and imagine everything else surrounding it. I imagined a girl swimming in the water, thought of an awesome sentence to describe it, and wrote it down. That one sentence no longer exists, but it spurned the rest of the story. 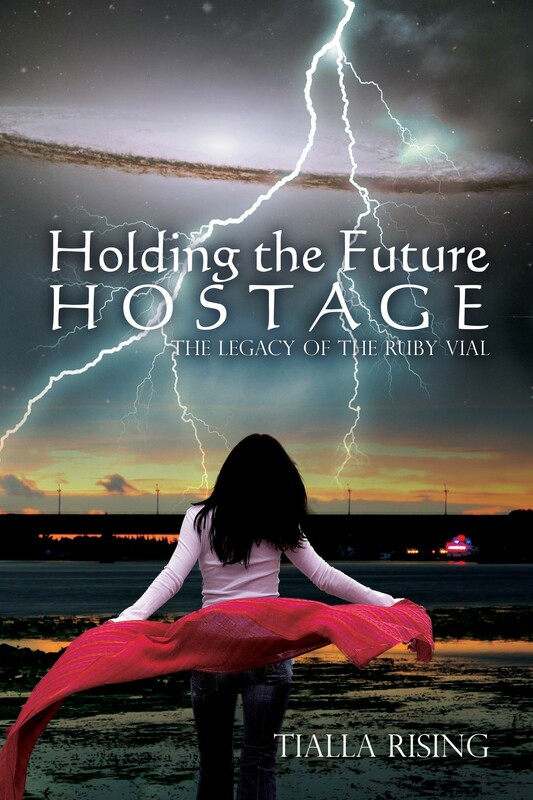 3) How did you come up with the title for HOLDING THE FUTURE HOSTAGE? Honestly…I don’t know. I was in the middle of writing a chapter, and my mind wandered to what the whole story was about. I was contemplating what had happened, and where it would head. Then BAM – the title hit me. It was definitely an epiphany! I hope that my book strongly conveys the importance of relying on others. In this modern world, so many characters (especially heroines) are portrayed as completely independent – that they don’t need anyone else; they can take care of everything on their own – and they’re viewed as “weak” if they can’t. That’s just not realistic. We absolutely need other people to rely on – especially when we are going through trials. We can’t make it on our own. Virginia, my main character, gets herself out of several scrapes, and is a great fighter, but she works best when others are helping her. People need to realize that not only do they NEED other people for support, but it is ADVISABLE to lean on others. Our strength fails us time and time again. 5) Are experiences based on someone you know, or events in your own life? How about characters? 6) What books have influenced your life most? 7) If you had to choose, which writer would you want to meet (past or present), and what would you say to them? C.S. Lewis. I am absolutely awed by Lewis. His ability to explain salvation and God’s gift to us just floors me. It’s just so…simple. He can explain it so marvelously, and in such a way that the reader is convinced beyond a doubt that what he says is true. He was truly gifted in SO many ways. I would ask him to explain his theory about Mere Christianity – mainly because I love that book and would love to hear the author summarize it. 8) What book are you reading now? “Touching the Clouds,” by Bonnie Leon. 9) What are your current projects? Can you clue us in on anything hush-hush about it? I am currently writing my second book. It is NOT a sequel to “Holding the Future Hostage,” but it does involve the main characters. I mainly say it is not a sequel because the first book does not depend on it in any way. I am about 255 pages into it, and I think I’m about ¼ of the way through…perhaps a bit more. I will clue you in on something hush-hush (which I suppose won’t be hush-hush anymore! ): it is about Shawn, my wannabe gangster from “Holding the Future Hostage.” Get excited, people! 10) If you had to do it all over again, would you change anything in HTFH? I would probably do some minor re-writing in the 1st quarter to make it more fluid, but that would be it. People love HTFH (which has definitely pleasantly shocked me! ), so I don’t really want to change anything else about it. 11) How did you become interested in writing and when? I believe I started writing when I was eleven. I had always, and I mean ALWAYS loved reading. In fact, when I was in second grade, I read so much that I had to get reading glasses because my eyes weren’t developed enough to handle the amount of strain I was putting on them. Of course, my parents didn’t tell me to stop reading – what parent would? – so they put me in readers. I strongly believe that this immersion in literature is what aided in my becoming a writer. It cultivated my love for the written word, and for the fiction story. When I was eleven, a friend of mine and I would write stories and email them to each other to read. I don’t remember why we even started writing, or how that idea entered our minds, but we used our imaginations ALL the time for EVERYTHING, so it only made sense to write ideas down when we were apart. 12) Is there anything you find particularly challenging while writing? Every step in writing, editing, revising, and publishing a novel is difficult. I suppose, however, that the most difficult when writing the first draft is originality. I mean, think about it – thousands upon thousands of books have been written on nearly every topic imaginable. Yet, we (authors) still need to be original or the reader will toss it out the window while saying, “Cliché.” So…being original is tough. Most of my time “writing” is spent thinking of new ways to get my characters in and out of trouble. After all, I want my readers on the edge of their seats so they will finish the book. That’s not going to happen with a situation that has been written about ten times over. 13) Who is your favorite author and what is it that really strikes you about their work? 14) Who designed your cover? My publisher, CreateSpace. They offer various services for editing, proofreading, interior design, cover design, marketing and more. I purchased their “Unique Book Cover” service, as well as their “Total Freedom Interior Design” service. I have to say, they did an excellent job! I’m so pleased with their designs. 15) What was the hardest part of writing your book? Beginning it. The beginning is the absolute hardest. It is essential to have a good beginning to go through with the story, but definitely the hardest to create. Oftentimes, I change the beginning after I have the rest of the book written. 16) Did you learn anything from writing your book and what was it? I learned SO much from the entire process, but one of the main things I learned was how to distinguish a scamming publishing company from a legitimate company. If you just Google publishing companies, hundreds of publishing sites will appear. And you know what? All of them look great. That’s for a reason – they make their websites and deals look great so they can get you in, get your money, and then make a crummy book or worse. I’ve learned that the sites with tons of success stories posted, lots of media and big “PUBLISH NOW” buttons are vanity presses, aka, scammers. If you come upon a flashy, feel-good site, be warned. It most likely is too good to be true. The true, legitimate sites require a little bit of digging. Their home pages are professional, but not pushy. 17) Do you have any advice for other writers? Be true to your style – don’t copy other author’s styles. You may LOVE to read those kind of books, but can you really write that way? I believe it is best to write YOUR way, in your own style. Don’t be afraid to experiment, just make sure you are not copying others. Be original. Read, read, read. Reading is the key to writing a good book. You need to pay attention to how other authors craft their books. Pay attention to the things you like, and figure out how to integrate that type of thing into your books. Pay attention to the things you don’t like, and make sure not to do those things. I can’t stress the importance of reading good literature enough. 18) Do you have anything specific that you want to say to your readers? I just want to thank you guys so much! I wouldn’t be very far without my reader’s support. I’m so glad you like my book, and I hope you like my future books! I honestly can’t tell you how happy it makes me feel when someone tells me they loved my book. It’s like…writer’s Heaven. 19) What were the challenges (research, literary, psychological, etc.) in bringing your book to life? Probably figuring out how to relate actions without using too many words. In a film, you can view someone speaking, watch their facial expressions, hear their tone, and feel the emphasis by their body language. You can then see them take a drink of coffee while crossing the room to look out the window, etc. All of this is just seen and heard. It’s natural. But when it comes to a book, if you want the reader to have that “natural” image in their head, you have to write it. ALL OF IT. How to do that without becoming stiff and too wordy? That’s a huge challenge for me, and one that I’m still working through! Heels. I LOVE heels. I have a huge weakness for heels. I admittedly have too many pairs of them, but they’re all thrifted or hand-me-downs, so I shouldn’t feel guilty, right? Sweet. I’m a chocolaholic. I love chocolate, and especially peanut butter mixed with chocolate. I love white chocolate. I love dark chocolate. I love milk chocolate. I love milk chocolate with almonds and toffee bits. Yep, definitely sweet. Umm…neither? I choose a dragon. Thing Two for sure! Thing One wouldn’t get very far without Thing Two. Next postWorld of the Beasts Book Trailer! Thanks for interviewing me, Kaitlyn! 🙂 It was lots of fun!